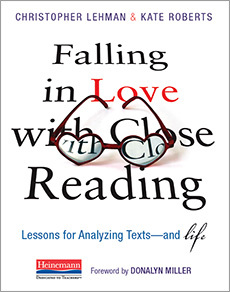 Christopher Lehman & Kate Roberts – Falling in Love with Close Reading. Vol 32, Issue 5: Writing From Sources: It beings with learning from sources. Testing: Are Percentage of Students Crying Valuable Data? Feeling Ill: Common Cold or the Common Core? Response: Ways to Develop Life-Long Readers. Reading is Dumb. There, I Said It. Would you be interested in my post entitled, “Education Reform Is Failing and Destructive Across the Nation”?